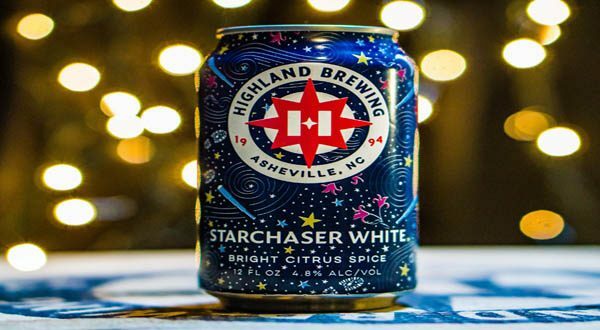 Highland Brewing Company is happy to announce the release of Starchaser White, the latest addition to the company’s year-round line-up. Originally released earlier this year as a summer seasonal, this Belgian-inspired white ale is brewed with coriander, candied ginger, and grapefruit peel. 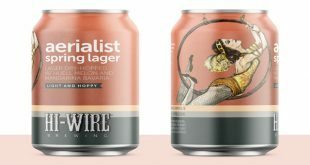 Named the fourth best American wheat ale by Vine Pair Inc. in August 2018, and wildly popular in the Highland Tasting Room, the resounding acclaim for this beer made it an easy decision to upgrade the brew to be included in Highland’s year-round portfolio. The production of Starchaser White will involve sourcing ingredients from two other local Asheville companies. The wheat and rye used in the brewing of this beer will be sourced from Riverbend Malt House, a malt roaster located in Asheville that sources all their grain from local farmers. The coriander for Starchaser will be acquired through Spicewalla, an Asheville-based spice wholesaler founded by James Beard-nominated chef Meherwan Irani. 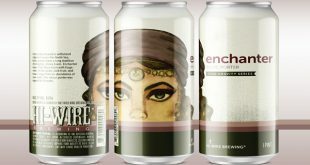 For additional information on Highland Brewing Company and Starchaser White, visit highlandbrewing.com and follow the brewery on Instagram, Facebook, and Twitter. We want to be the brewery of choice in the Southeast. To achieve that goal, we believe it takes more than great beer. With each new hire, it doesn't take long to learn Oscar's mantra: Honesty, integrity and respect. Nothing about beer, not specifically. But the larger ideals that lead to great beer - caring about how it's made, caring for the people involved, from the grain farmer to the mom at the grocery store. 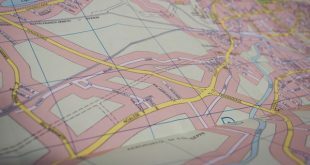 Operating within these lines gives rise to a culture around a product. A culture that is sustainable for our employees, our customers and our environment. Come see us! Get a beer at Asheville's first legal brewery and learn what we believe in.